Stem cells have enormous potential to alleviate sufferings of many diseases that currently have no effective therapy. The research in this field is growing at an exponential rate. Stem cells are master cells that have specialized capability for self-renewal, potency and capability to differentiate to many cell types. 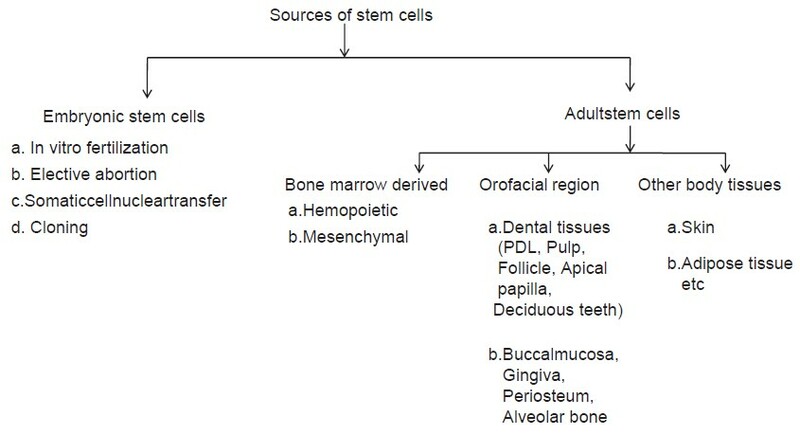 At present, the adult mesenchymal stem cells are being used in the head and neck region for orofacial regeneration (including enamel, dentin, pulp and alveolar bone) in lieu of their proliferative and regenerative properties, their use in the treatment of oral mucosal lesions is still in budding stages. Moreover, there is scanty literature available regarding role of stem cell therapy in the treatment of commonly seen oral mucosal lesions like oral submucous fibrosis, oral lichen planus, oral ulcers and oral mucositis. The present review will focus on the current knowledge about the role of stem cell therapies in oral mucosal lesions and could facilitate new advancements in this area (articles were obtained from electronic media like PubMed, EBSCO, Cochrane and Medline etc., from year 2000 to 2014 to review the role of stem cell therapy in oral mucosal lesions). Introduction: Delivering drugs to ocular region is a challenging task. Eye physiological barriers lead to relatively less therapeutic and bioavailability effect by the conventional eye drops. This may be overcome by the use of in situ gel delivery system. Objective: The objective of our work was to formulate an ocular delivery system of levofloxacin, based on the concept of ion (sodium alginate) and pH (chitosan) activated in situ gelation concept. Due to its elastic properties, in situ gels resist the ocular drainage of drug leading to longer contact times with ocular surface. Materials and Methods: The formulation was evaluated for physicochemical characteristics, in vitro drug release. Ocular retention studies were carried out by Gamma scintigraphy. Time activity curve was plotted between marketed formulation and developed formulation for comparing drug drainage from the eye with time. Ocular tolerance test was performed by handheld infra-red camera. Results and Discussion: The formulations showed a first-order release pattern over 12 h. Both in vitro release studies and in vivo gamma scintigraphy precorneal retention studies indicated better therapeutic efficacy compared with standard eye drops. Conclusion: The results demonstrated that the developed in situ gel of levofloxacin is nonirritant, has prolonged action and is a better option in terms of retention, ocular bioavailability and patient compliance when compared with plain eye drops formulation. Background: Galls of Quercus infectoria have been traditionally used to treat common ailments, including yeast infections caused by Candida species. Objective: This study aimed to evaluate the in vitro anti-Candida activity of Q. infectoria gall extracts against selected Candida species. Materials and Methods: Methanol and aqueous extracts of Q. infectoria galls were tested for anti-Candida activity against Candida albicans, Candida krusei, Candida glabrata, Candida parapsilosis and Candida tropicalis. The minimum inhibitory concentrations were determined using the two-fold serial dilution technique of concentrations ranging from 16 mg/ml to 0.03 mg/ml. After 24 h, the minimum fungicidal concentrations were determined by subculturing the wells, which showed no turbidity on the agar plate. Potential phytochemical group in the crude extracts was screened by phytochemical qualitative tests and subsequently subjected to the gas chromatography-mass spectrometry analysis. 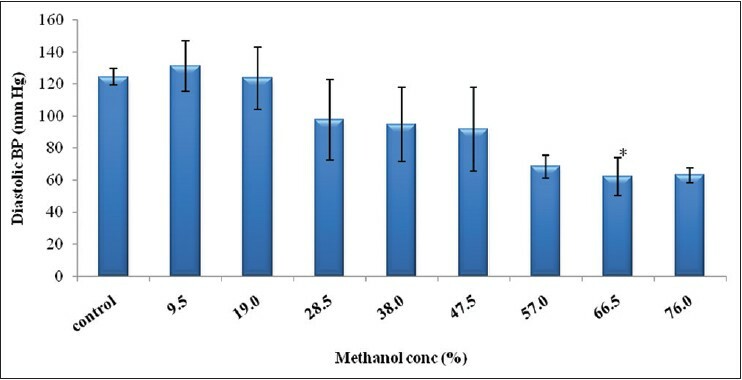 Results: Both methanol and aqueous extracts displayed substantial anti-Candida activity and pyrogallol was the major component of both crude extracts. Conclusions: Data from current study suggested that Q. infectoria gall extracts are a potential source to be developed as anti-candidiasis. Context: Boswellic acid consists of a series of pentacyclic triterpene molecules that are produced by the plant Boswellia serrata. The potential applications of Bowsellic acid for treatment of cancer have been focused here. Aims: To predict the property of the bowsellic acid derivatives as anticancer compounds by various computational approaches. Materials and Methods: In this work, all total 65 derivatives of bowsellic acids from the PubChem database were considered for the study. 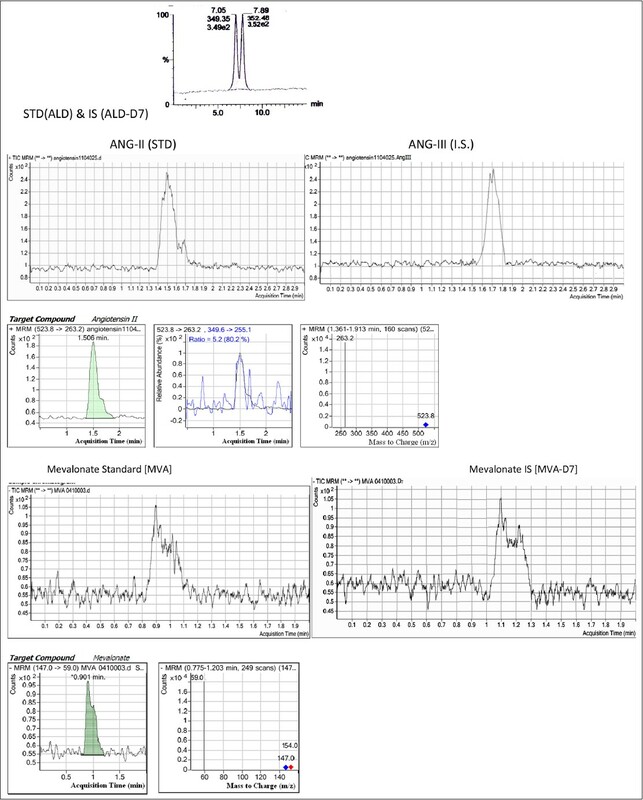 After energy minimization of the ligands various types of molecular descriptors were computed and corresponding two-dimensional quantitative structure activity relationship (QSAR) models were obtained by taking Andrews coefficient as the dependent variable. Statistical Analysis Used: Different types of comparative analysis were used for QSAR study are multiple linear regression, partial least squares, support vector machines and artificial neural network. Results: From the study geometrical descriptors shows the highest correlation coefficient, which indicates the binding factor of the compound. 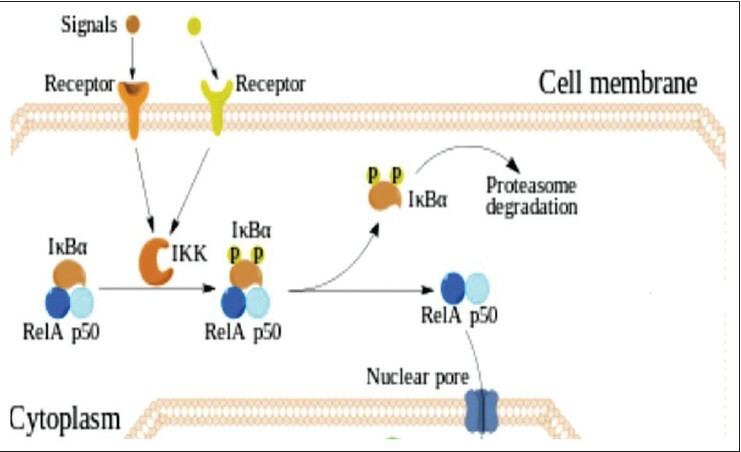 To evaluate the anticancer property molecular docking study of six selected ligands based on Andrews affinity were performed with nuclear factor-kappa protein kinase (Protein Data Bank ID 4G3D), which is an established therapeutic target for cancers. Along with QSAR study and docking result, it was predicted that bowsellic acid can also be treated as a potential anticancer compound. Conclusions: Along with QSAR study and docking result, it was predicted that bowsellic acid can also be treated as a potential anticancer compound. Context: Kalanchoe sp. have been used since 1921 for central nervous system (CNS) disorders such as psychosis and depression. It is known to possess CNS depressant effects. Aims: To investigate the antidepressant properties of the aqueous leaf extract of Kalanchoe integra. Settings and Design: The study was carried out at the Kwame Nkrumah University of Science and Technology between 6 a.m. and 3 p.m. Materials and Methods: ICR mice were subjected to the forced swimming test (FST) and tail suspension test (TST) after they had received extract (30-300 mg/kg), fluoxetine (3-30 mg/kg), desipramine (3-30 mg/kg) orally, or water (as vehicle). In a separate experiment, mice were pre-treated with reserpine (1 mg/kg), α-methyl paratyrosine (AMPT; 400 mg/kg), both reserpine (1 mg/kg) and AMPT (200 mg/kg) concomitantly, or p-chlorophenylalanine (pCPA; 200 mg/kg) to ascertain the role of the noradrenergic and serotoninergic systems in the mode of action of the extract. Statistical analysis used: Means were analyzed by analysis of variance (ANOVA) followed by Newman-Keuls' post hoc test. P < 0.05 was considered significant. Results: In both FST and TST, the extract induced a decline in immobility, indicative of antidepressant-like effect. This diminution in immobility was reversed by pCPA, but not by reserpine and/or AMPT. The extract increased the swimming and climbing scores in the FST, suggestive of possible interaction with serotoninergic and noradrenergic systems. In the TST, the extract produced increases in both curling and swinging scores, suggestive of opioidergic monoaminergic activity, respectively. Conclusions: The present study has demonstrated the antidepressant potential of the aqueous leaf extract of K. integra is mediated possibly by a complex interplay between serotoninergic, opioidergic, and noradrenergic systems. Introduction: Alzheimer's disease (AD) has increased at an alarming rate and is now a worldwide health problem. Inhibitors of acetylcholinesterase (AChE) leading to inhibition of acetylcholine breakdown constitute the main therapeutic strategy for AD. Psoralen was investigated as inhibitor of AChE enzyme in an attempt to explore its potential for the management of AD. Materials and Methods: Psoralen was isolated from powdered Psoralea corylifolia fruits. AChE enzyme inhibitory activity of different concentrations of psoralen was investigated by use of in vitro enzymatic and molecular docking studies. Further, the enzyme kinetics were studied using Lineweaver-Burk plot. Results: Psoralen was found to inhibit AChE enzyme activity in a concentration-dependent manner. Kinetic studies showed psoralen inhibits AChE in a competitive manner. Molecular docking study revealed that psoralen binds well within the binding site of the enzyme showing interactions such as π-π stacking and hydrogen bonding with residues present therein. Conclusion: The result of AChE enzyme inhibitory activity of the psoralen in this study is promising. It could be further explored as a potential candidate for further development of new drugs against AD. 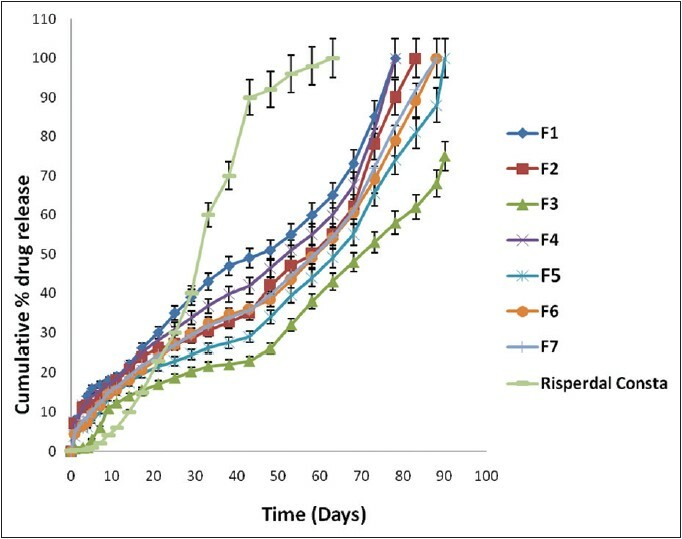 Objective: The purpose of this study was to develop an ideal microsphere formulation of risperidone that would prolong the drug release for 3 months in vivo and avoid the need for co-administration of oral tablets. Materials and Methods Polycaprolactones (PCL) were used as polymers to prepare microspheres. The research included screening and optimizing of suitable commercial polymers of variable molecular weights: PCL-14000, PCL-45000, PCL-80000 or the blends of these polymers to prepare microspheres with zero-order drug-releasing properties without the lag phase. In the present study, the sustained release risperidone microspheres were prepared by o/w emulsion solvent evaporation technique and the yield was determined. 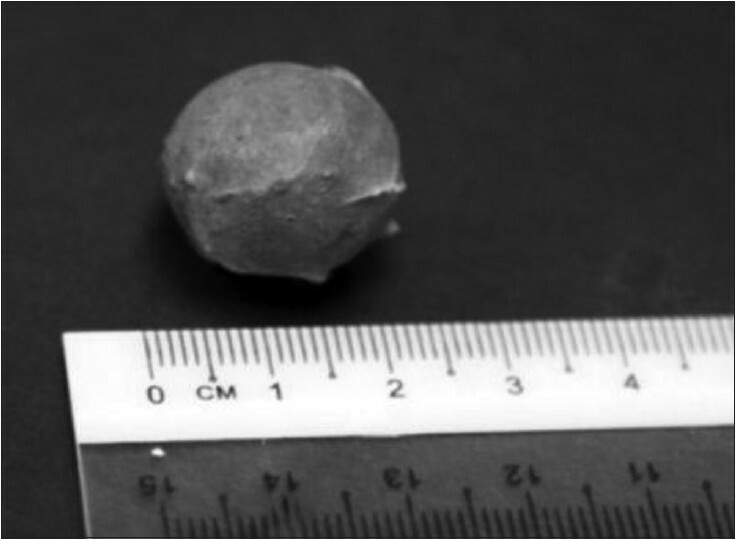 Microspheres were evaluated for their drug content and in vitro drug release. Microspheres prepared using a blend of PCL-45000 and PCL-80000 at a ratio of 1:1 resulted in the release of the drug in a time frame of 90 days, demonstrated zero-order drug release without lag time and burst release. This formulation was considered optimized formulation. Optimized formulation was characterized for solid state of the drug using differential scanning calorimetry, surface morphology using scanning electron microscopy and in vivo drug release in rats. Results: The surface of the optimized formulation was smooth, and the drug changed its physical form in the presence of blends of polymers and upon fabrication of microspheres. The optimized formulation also released the drug in vivo for a period of 90 days. Conclusions: From our study, it was concluded that these optimized microspheres showed great potential for a better depot preparation than the marketed Risperdal Consta™ and, therefore, could further improve patient compliance. Background: Pandanus odoratissimus (Pandanaceae) is popular in the indigenous system of medicines like Ayurveda, Siddha, Unani and Homoeopathy. In the traditional system of medicine various plant parts such as leaves, root, flowers, and oils are used as anthelmintic, tonic, stomachic, digestive and in the treatment of jaundice and various liver disorders. Objective: The aim was to investigate the hepatoprotective activity of ethanolic extract of the root of P. odoratissimus against paracetamol (PCM) induced hepatotoxicity in rats. 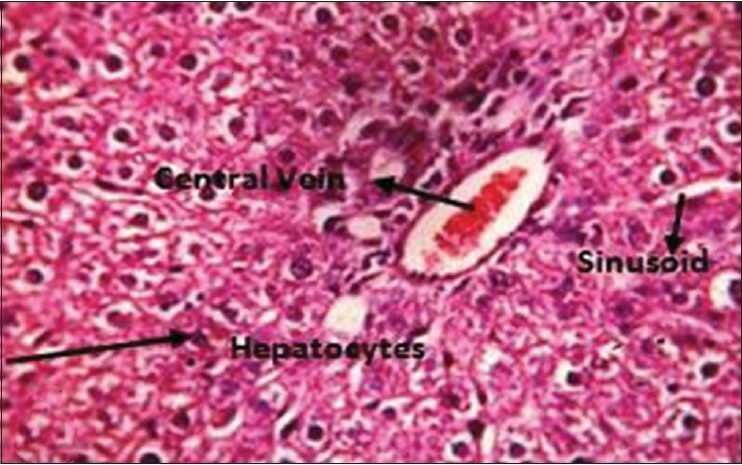 Materials and Methods: Hepatotoxicity was induced in male Wistar rat by PCM (2 g/kg b.w. p.o. for 7 days). The ethanolic extract of P. odoratissimus root was administered at the dose level of 200 mg/kg and 400 mg/kg b.w. orally for 7 days and silymarin (100 mg/kg b.w. p.o.) as standard drug was administered once daily for a week. The hepatoprotective effect of ethanolic extract was evaluated by assessment of biochemical parameters such as serum glutamic oxaloacetic transaminase, serum glutamic-pyruvic transaminase, serum alkaline phosphatase, total and direct bilirubin and triglycerides. Histopathological study of rat liver was also done. Results: Experimental findings revealed that the extract at dose level of 200 mg/kg and 400 mg/kg of b.w. showed dose dependant hepatoprotective effect against PCM induced hepatotoxicity by significantly restoring the levels of serum enzymes to normal that was comparable to that of silymarin, but the extract at dose level of 400 mg/kg was found to be more potent when compared to that of 200 mg/kg. Besides, the results obtained from histopathological study also support the study. Conclusion: From the results, it can be concluded that ethanolic extract of the root of P. odoratissimus afforded significant protection against PCM induced hepatotoxicity in rats. Background: Combinatory oral dosage treatment of atorvastatin (ATVS) and olmesartan (OLM) drugs to cardiovascular patients reflects unpredicted results instead of its individual therapy, which was accessed on quantification of endocrinal and biochemicals of plasma through liquid chromatography-tandem mass spectrometry/mass spectrometer (LCMS/MS). Objective: Mission was to track the remarkable biochemical variation in the plasma after induction of the combined formulation, to evaluate the pharma-market rumor on its efficiency. Methods: To fulfil undergoing research objectives for digging-up of market insult, human patient volunteers were chosen according to the required criteria along with bioethical regulation. A sensitive, rapid and precise method was developed and validated to estimate aldosterone (ALD), angiotensin (ANG-II) and the Mevalonate (MVA) not Mevalonic acid through LCMS/MS over least samples of cardiovascular patients. Level of each endogenous biochemicals were determined in three stages - without drugs, with a single drug (OLM/ATVS) and with their combination that was then correlate with blood pressure of respective volunteers. Result and Discussion: Comparative and correlative studies panaroma among these analytes was detected. The selectivity, specificity, linearity, precision, accuracy, extraction recovery, limit of detection and limit of quantification, stability were the essential points of validation of the developed methodology. And the significance of each endogenous analyte data were based on P ≥ 0.001. Thus, low value of ALD and reciprocally higher in ANG-II on administered single drug than its combination and equal concentration of mevalonate in both stages, was discovered. Conclusion: This concludes that the cardiovascular dosage formulation entrenched in the market are not synergistic and effective compared with a single drug as antihypertensive drug. Objective: Gastric ulcer is an important clinical problem, chiefly due to extensive use of some drugs. The aim was to assess the activity of Mumijo extract (which is used in traditional medicine) against acetic acid induced gastric ulcer in rats. Materials and Methods: The aqueous extract of Mumijo was prepared. Animals were randomly (n = 10) divided into four groups: Control, sham-operated group (received 0.2 ml of acetic acid to induce gastric ulcer), Mumijo (100 mg/kg/daily) were given for 4 days postacetic acid administration, and ranitidine group (20 mg/kg). 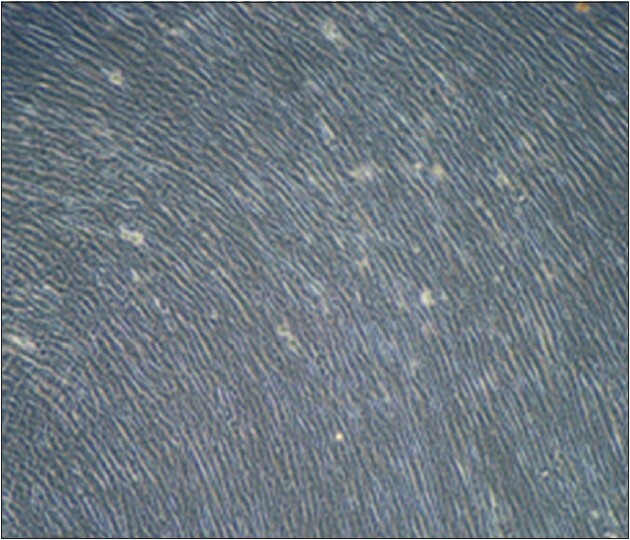 The assessed parameters were pH and pepsin levels (by Anson method) of gastric contents and gastric histopathology. Ranitidine was used as reference anti-ulcer drug. Results: The extract (100 mg/kg/daily, p.o.) inhibited acid acetic-induced gastric ulceration by elevating its pH versus sham group (P < 0.01) and decreasing the pepsin levels compared to standard drug, ranitidine (P < 0.05). The histopathology data showed that the treatment with Mumijo extract had a significant protection against all mucosal damages. Conclusion: Mumijo extract has potent antiulcer activity. Its anti-ulcer property probably acts via a reduction in gastric acid secretion and pepsin levels. The obtained results support the use of this herbal material in folk medicine. Introduction: Methanol ingestion is an uncommon form of poisoning that can cause severe metabolic disturbances, blindness, permanent neurologic dysfunction and death. While methanol itself may be harmless, it converts, in vivo, to highly toxic formic acid. Methanol intoxication clinically manifests as ocular toxicity. The present study investigated the cardiovascular effects of methanol. Materials and Methods: On the day of the experiment, Wistar rats were anesthetized with urethane. The femoral artery on one side was exposed, and a polyethylene catheter was inserted into the artery for recording arterial blood pressure (ABP). The catheter was attached to a pressure transducer (Statham - P23D). Systolic blood pressure (BP), mean ABP, and heart rate were recorded on a power-lab data acquisition system with a computerized analysis program. Rats were administered with different dilutions (9.5%, 19.0%, 28.5%, 38.0%, 47.5%, 57.0%, 66.5%, 76%) of methanol (95% v/v, i.v.). Results: Of all dilutions of methanol, 66.5% dilution showed maximum decrease of diastolic BP from 124.64 ± 5.39 to 62.30 ± 11.90 mmHg; 76.0% dilution showed maximum decrease of systolic BP from 165.70 ± 5.57 to 112.11 ± 12.0 mmHg, and mean ABP from 160.61 ± 12.45 to 86.14 ± 4.11 mmHg. The heart rate increased (from 250 beats/s to near about 275 beats/s) following administration of methanol dilution from 19.0% till 76.0%. Conclusion: The present study is consistent with previous studies suggesting that methanol ingestion leads to severe hypotension as observed from decrease in diastolic BP, systolic BP, and mean ABP. However, severe increase of heart rate suggests activation of a compensatory mechanism to offset hypotension that eventually leads to death in methanol poisoning. Hence, this study emphasizes the need to monitor all the hemodynamic parameters in accidental methanol poisoning. Background: Pharmaceutical industries worldwide are heavily involved in aggressive drug promotions. Physician targeted promotion through medical representatives is one of the most common tactic for drug promotion by pharmaceutical drug companies. WHO states that medical representatives to work in an ethical way should make available to prescribers and dispensers complete and unbiased information for each product discussed; therefore this study aimed to evaluate the ethics in the medical brochures of generic pharmaceutical companies that are given through medical representatives to physicians in Iraq. Materials and Methods: An observational, cross-sectional study was conducted in Iraq - Baghdad from February to April 2014. Promotional drug brochures were collected mainly from pharmaceutical exhibition during attendance of medical conferences that were sponsored by generic pharmaceutical companies. Evaluation of each brochure was based primarily on WHO criteria for ethical medicinal drug promotion. The availability of emotional pictures in each brochure was also examined. Furthermore, references were checked to find their retrievability, source, and authenticity of presentations. Results: Most medical brochures were for antibiotics, and drugs for cardiovascular diseases. All brochures mention drug name, with its active ingredient and indication, but there is a significant absence for drug interaction, while drug side effects and contraindications if present were written in a small font. Emotional picture presented in 70% of brochures. Reference citation was present in 72% of brochures, however only 75% of references in these brochures were correct. Conclusions: The information that is provided in medical brochures is biased and mainly persuasive since it is mainly focusing on the positive aspect of drug therapy. Background: Oral health is an integral and important component of general health. Infectious diseases such as caries, periodontal, and gingivitis indicate the onset of imbalance in homeostasis between oral micro biota and host. The present day medicaments used in oral health care have numerous side effects. The uses of herbal plants as an alternative have gained popularity due to side effects of antibiotics and emergence of multidrug resistant strains. Anacardium occidentale (cashew) and Mangifera indica (mango) have been used as traditional oral health care measures in India since time immemorial. Materials and Methods: The ethanol extracts of cashew and mango leaves were obtained by maceration method. 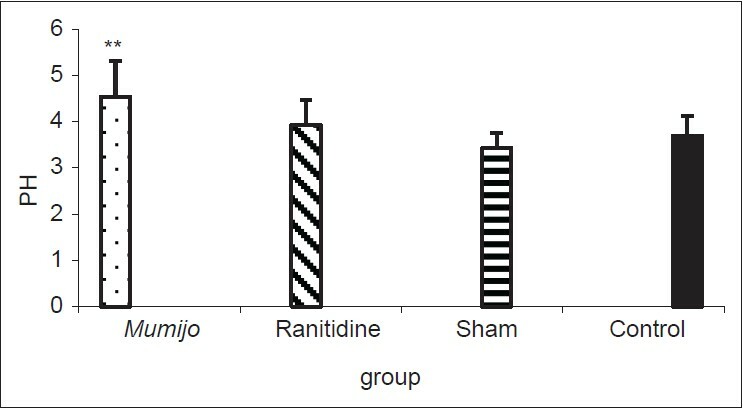 The antimicrobial activity was evaluated by clear zone produced by these plant extracts against Enterococcus faecalis, Staphylococcus aureus, Streptococcus mutans, Escherichia coli, and Candida albicans in agar plate method, determination of minimum inhibitory concentration (MIC), minimum bactericidal/fungicidal concentration (MBC/MFC), and suppression of biofilm. The cytotoxic effects of plants extract was determined by microculture tetrazolium assay on human gingival fibroblast and Chinese hamster lung fibroblast (V79) cell lines. Results: Cashew and mango leaf extract significantly (P < 0.05) produced larger zone of inhibition against test pathogens when compared to povidone­­-iodine-based mouth rinses. Although the MIC and MBC/MFC values of mouth rinses were effective in lower concentrations; plant extracts significantly (P < 0.001) suppressed the biofilms of oral pathogens. The leaf extracts were less cytotoxic (P < 0.001) compared to mouth rinses. Conclusions: Plant extracts are superior to the mouth rinses and have a promising role in future oral health care. Aim: The aim was to assess the alteration of gastric function and barrier function of gastrointestinal (GI) tract following diffuse brain injury in varying ovarian hormone status. Materials and Methods: Diffuse traumatic brain injury (TBI) was induced by Marmarou method. Rats were randomly assigned into 10 groups: Intact, sham + ovariectomized female (OVX), TBI, TBI + OVX, vehicle, estradiol (E2), progesterone (P), E2 + P, estrogen receptor alpha agonist and estrogen receptor beta agonist (DPN). Endotoxin levels were measured using enzyme-linked immunosorbent assay method. All the parameters were measured 5 days after TBI. Results: Intragastric pressure was significantly decreased in TBI as compared to the intact group (P < 0.001) and this was lower in TBI group versus TBI + OVX group (P < 0.05). Pretreatment with steroid hormones and their agonists did not have any effect on the gastric pressure compared to TBI + OVX or vehicle groups. Inflammation, congestion, ulcer and erosion were seen in the TBI rats. All treatment groups worsen the tissue condition so that the presence of thrombosis also was seen. The trauma induction did not have any effect on the serum and intestinal endotoxin levels. 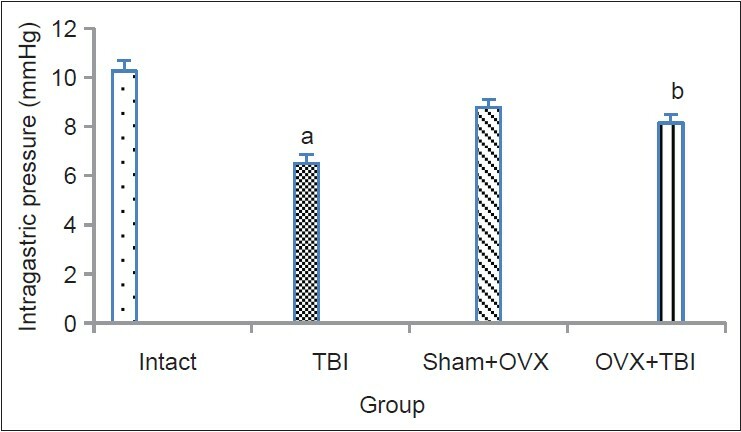 DPN had caused a significant reduction in serum levels of endotoxin compared with OVX + TBI group (P < 0.05). Conclusion: Pretreatment with sexual steroids is not useful in the treatment of GI dysfunction induced by TBI. The treatment with all sexual female hormones worsens the gastric tissue condition. Furthermore, the applied weight was not enough for releasing of endotoxin. It seems that estrogen reduced the endotoxin levels by estrogen beta receptor. In search of new leads toward potent antimicrobial agent, an array of novel derivatives of 2-hydrazinyl -N-N, diphenyl acetamide has been synthesized from the chloroacetylation reaction of diphenylamine (DPA). For this, a series of DPA derivatives were prepared by replacing chlorine with hydrazine hydrate in alcoholic medium and 2-hydrazino-N, N-diphenylacetamide was synthesized. The 2-hydrazino-N, N-diphenylacetamide was further subjected to reaction with various aromatic aldehydes in presence of glacial acetic acid in methanol. The synthesized compounds were characterized by their IR, 1HNMR spectral data and elemental analysis. The compounds were screened for antibacterial and antifungal activity by cup plate method. 2-(2-Benzylidenehydrazinyl)-N, N-diphenylacetamide (A1); 2-(2-(3-methylbenzylidene) hydrazinyl)-N, N-diphenyl-acetamide (A5) and 2-(2-(2-nitrobenzylidine) hydrazinyl)-N, N-diphenyl-acetamide compounds (A7) showed significant antimicrobial as well as antifungal activity. 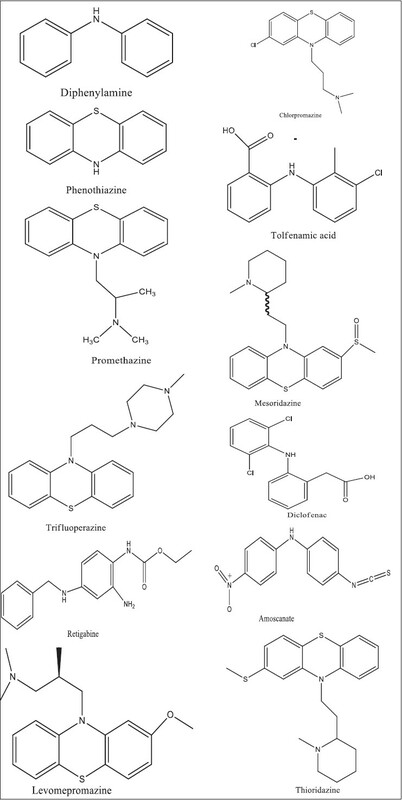 Diphenylamine compounds may be explored as potent antimicrobial and antifungal compounds.